Windsor DUI / Impaired Driving Charge? Let Michael Gordner help you! If you have been charged with impaired driving in Windsor, Ontario it is critical to contact Michael Gordner as soon as possible. Effective representation in your case depends on how quickly you get a lawyer on your case to investigate the facts. An experienced attorney can explain the situation and the likely outcome of your case, and would be able to advise you on whether to negotiate a plea agreement for a lesser charge or fight the charge in court. Defence Lawyer, Michael Gordner, firmly believes that every person charged with an offense needs a lawyer. Impaired driving charges are complex, dealing with numerous legal issues and questions relating to your arrest and possible violation of your rights. Mr. Gordner’s 38 years of experience, as well as his consistent research regarding various arguments in this area, makes him a highly effective ally to have working with you. Mr. Gordner is a highly accomplished criminal lawyer in both Canada and the US. He practices primarily in Windsor, Ontario, and is well acquainted with the area and the local judicial system. 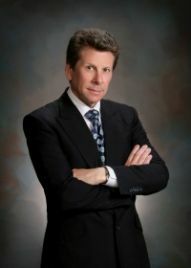 As a trial lawyer he has extensive trial experience and is prepared to face any challenges in court and other hearings. He is motivated by his desire to bring justice and fairness to all those who come before the courts, and to achieve the best results possible based on the circumstances of the case. There are many valid defenses to impaired driving charges and you may have a strong case that can be challenged in court, however if the factual situation calls for it, a skilled negotiator can often negotiate a plea agreement with the prosecutor to potentially reduce the charges or penalties. Trust Michael Gordner to have your best interests in mind, as he would be pleased to help you. He’s the one you need.